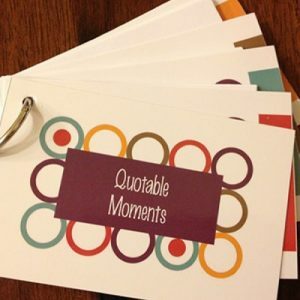 Let me introduce you to the best gift you can give a grandparent or elderly friend. 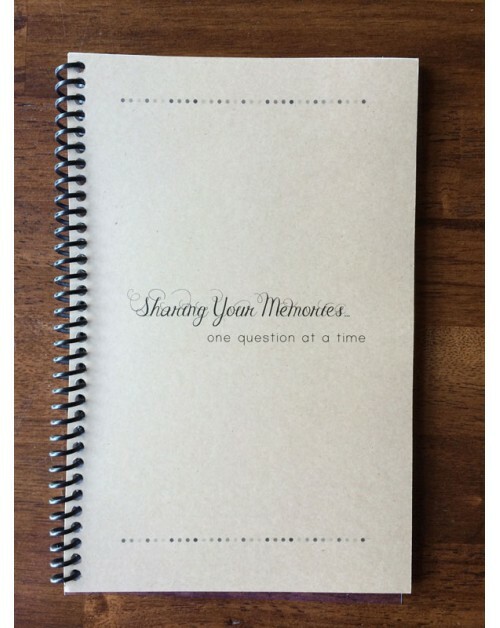 Sharing Your Memories…one question at a time is a book full of questions about their past. I found the idea on Pinterest and decided I needed to do this for my kids’ grandparents and my grandma. I have always wondered what my Grandma’s childhood was like, but don’t have it documented. This way it will be documented, in her handwriting, and I can pass it on to my kids! I am so excited to give this to them. When were you born and where? What did your parents tell you about that day? Who was your best friend? What did you like to do together? What was your favorite meal growing up and who made it for you? What chores did you have to do? Tell me about when you learned to drive a car. How old were you? Who taught you? What kind of car was it? How much did it cost? How much was a gallon of gas? What was the latest and greatest technology when you were growing up? How did you meet your spouse? Was it love at first site? What year was it? What was life like when you were first married? Are there any notable ancestors in your family? Plus many more! Over 70 questions total! Right inside the cover on the first page there is a spot that you can write your own note to them explaining what you would like them to do. You can ask them to answer all the questions or just the ones they choose. Can you imagine how fun it will be to read their answers? I can’t wait! I have decided to offer this for you to purchase if you would like a unique gift that you can treasure forever! The books are 8.5 x 5.5 inches and coil bound just like my meal planners. They will have a clear plastic cover on the front and a protective cover on the back. 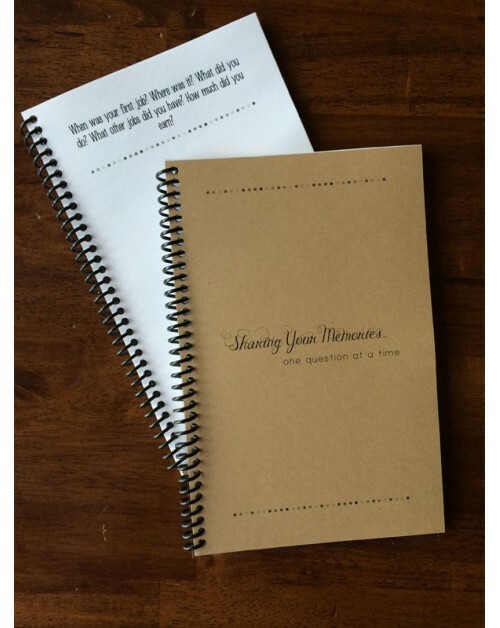 I have 2 books available, one that you can give to grandparents and another one that you could give to an elderly friend that you would love to learn more about.